Welcome to 3SM's class page! Here you will find important information about our class as well as being able to see what we have been learning about. Keep checking back to find out what we have been up to in 3SM! Swimming will be on a Tuesday- please ensure you have your correct kit including a swimming cap! PE will be on a Wednesday- remember to wear the correct kit, blue or navy tracksuit bottoms only. Homework will be given out on a Monday and collected back in on a Friday. Reading books need to be in EVERY day for Accelerated Reading. It was time to decide on our new school councillors, we discussed what qualities a councillor should have then we held a vote. It was very close but after all the votes had been counted our new school councillors are.... Safa and Kareem! Well done- we can't wait for you to share our ideas across the school! We investigated how sound travels, we made musical instruments to see if the size of the box changed the pitch of the sound. 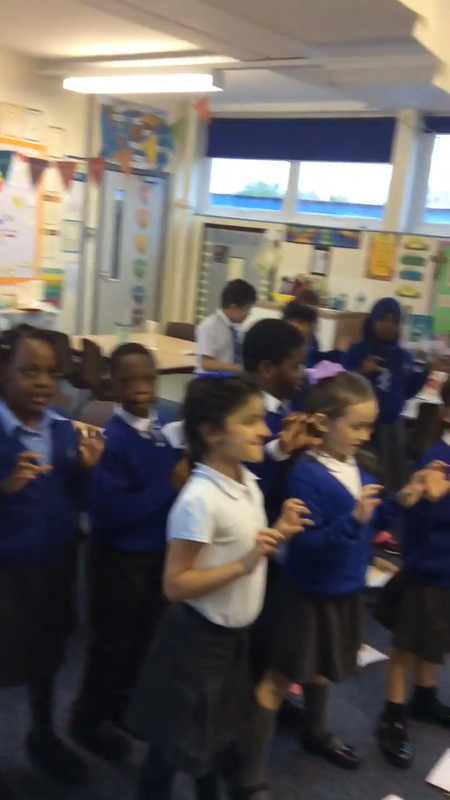 We appraised music from the past- thriller was our favourite! We made tzatziki and hummus during cookery this week- we can't wait for next week! 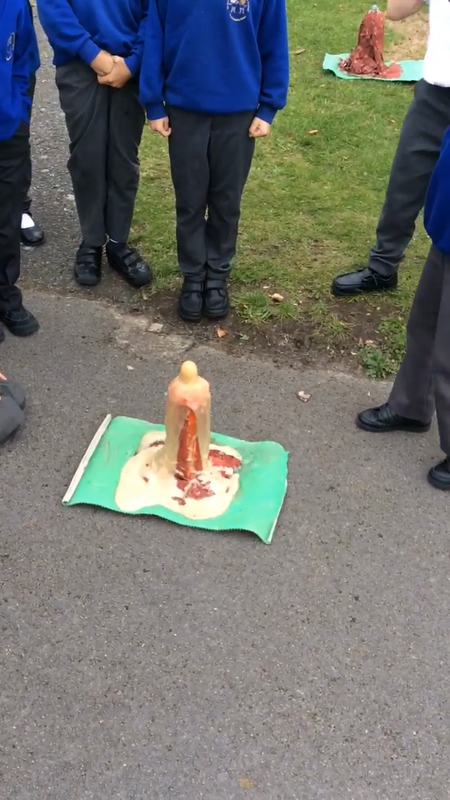 Volcanoes- we created our own volcanoes this week, we then created a wonderful eruption using Diet Coke and mentos.